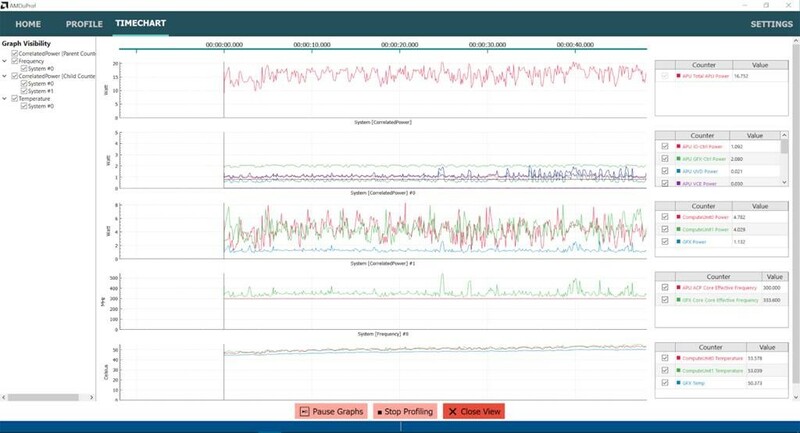 Performance profiling to identify and analyze time critical hotspots and diagnose performance issues. Power profiling that provides system level power, frequency and thermal characteristics in real-time. Performance counter monitor utility AMDuProfPcm that provides basic performance metrics (Linux and FreeBSD only). AMD uProf helps you to collect the profile data to identify the performance bottlenecks and provides a user friendly data visualization user interface to analyze the profile data. This tool helps to optimize wide variety of applications, drivers, game engines, etc. 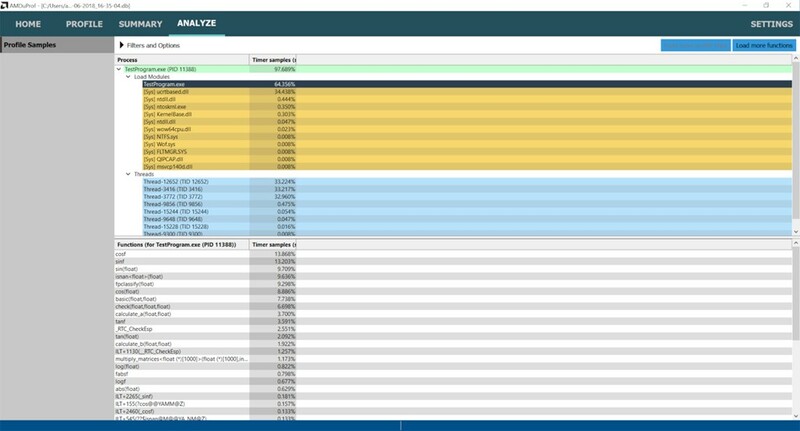 Timer Based Profiling on x64 systems. Call-stack sampling for native applications. Real-time reporting of Power, Frequency and Thermal characteristics. Energy consumption analysis of applications. Attribution of profile data at different granularities – Process, Thread, Module, Function, Source line and Instruction. Languages – C, C++, C#, Java, FORTRAN, Assembly. Processors – AMD APUs, CPUs and discrete AMD GPUs. Host Operating Systems – Windows, Linux. Target Operating Systems – Windows, Linux. Support for new processors including Ryzen, Threadripper and EPYC. Please use Developer Community for bug reports, support and feature requests.